← Free National Park Day Monday! Juhee (left) and Sarah (right) on the way up Gua-Gua. 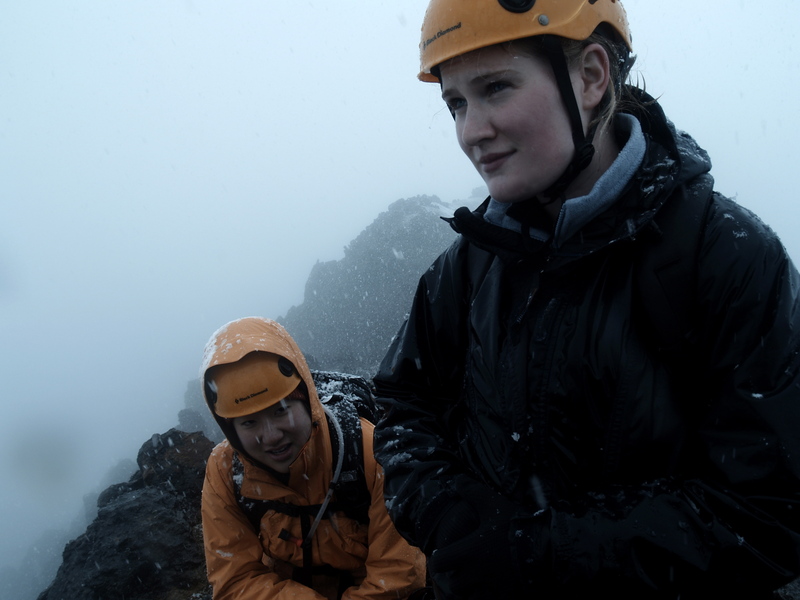 My climbing friend Sarah and I met on a very big mountain in Ecuador: Gua-Gua Pinchincha. We climbed all 15,695-feet of Gua-Gua (pronounced Waa-Waa) the hard way: hand-over-hand up a dozen fixed rope pitches to a rappel off a cliff, and then up a few more pitches to the summit. Sarah topping out on pitch 3. Notice Paul down below in red. On the way up Gua-Gua, the grey sky turned to sleet and then snow. By the summit, we were in a whiteout. 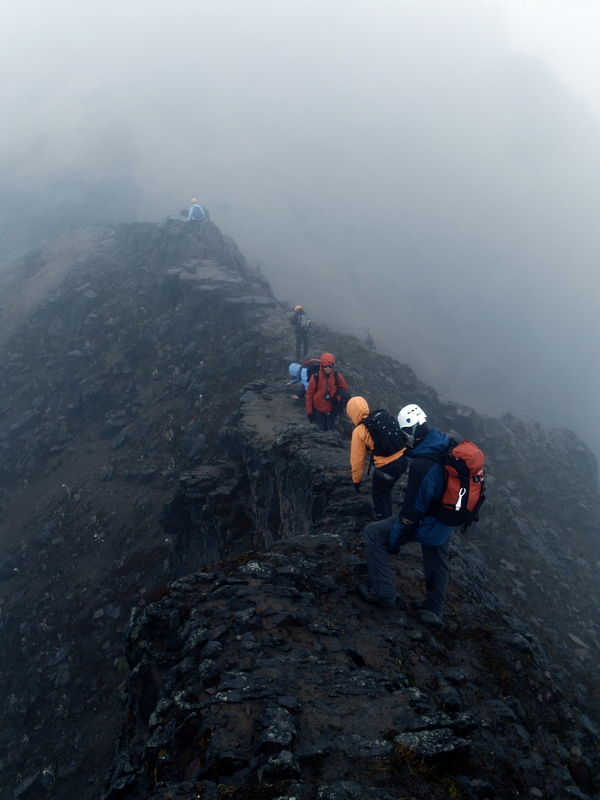 Luckily, we got down the easy way: hiking down the backside of the volcano in thick, snowy fog. 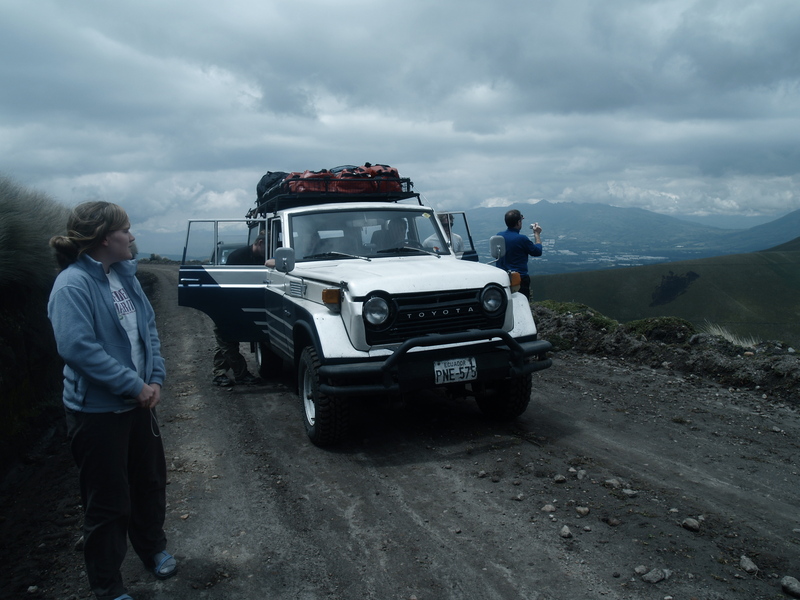 By the time we piled into an ancient Toyota Land Cruiser for the return trip to Quito, we were wet, cold, exhausted and elated. But our trek was far from over. Sarah & our Old school Cruiser. Love the Ecuador plate! As we drove down the winding mountain road to Quito, rain kept falling in earnest and the dirt road was quickly quagmiring. Our Cruiser slowed to a crawl, sliding sickeningly around the steep turns. Partway down the mountain, we rounded a corner to an incredible sight: angled across the narrow road, fully blocking both lanes, was a full-sized bus. 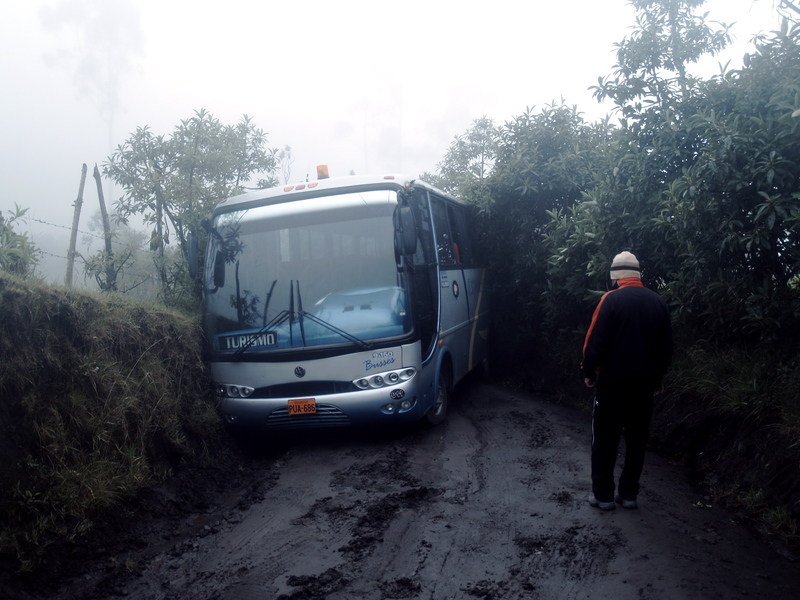 Our truck slid to a stop, skidding a bit on the bus’s muddy tracks. The behemoth had apparently lost purchase in the mud and slid backwards down the hill until it became firmly wedged between the two high banks. 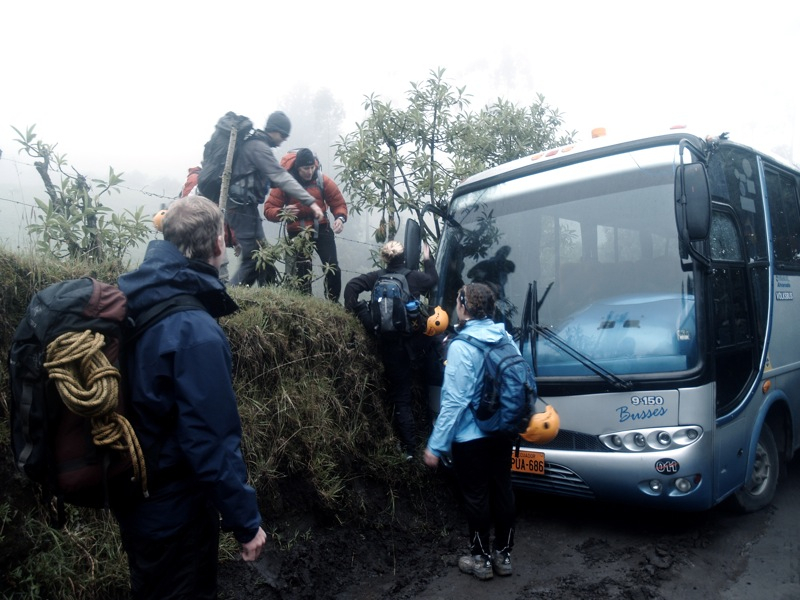 In Ecuador, when you come across a blocked road you have two choices: dig your way through, hike your way out or wait a very long time for somebody to come help. Nobody on the bus had elected to wait; it was completely abandoned. The door was tightly wedged against the dirt bank; the passengers must have escaped through the still-open windows. Already wet, chilled and exhausted, we looked at the bus for a few minutes and then did the only thing we could do: we relaced our boots, shouldered our packs and climbed up and over the front of the bus, using the headlight wells, windshield wipers and side mirrors as foot and handholds. It was the easiest climbing we’d done all day. The hike back into town took us through rural Ecuadorian countryside, past lone houses and tiny villages. Dogs barked and people waved. One friendly but muddy and horrific smelling Saint Bernard followed for several miles, bouncing in our midst from puddle to puddle. Several of the locals came out to greet us and I picked out the word bus from the rapid conversations with our guides. Everybody laughed. One woman ran back inside her tiny house and brought out a bowl of oranges. We each took one, said gracias as she grinned at us with rotting teeth. We hiked in the rain and the deepening dark for hours until our boots finally hit pavement in the tiny town of Lloa. We found a bus shelter where we could all get out of the rain and one of our guides ran off to find a phone to call some taxis. An hour later, four cars showed up to ferry us and all our gear back to Quito. Huddled in the bus shelter, we all maintained weary lightheartedness to the very end. We had all climbed up a mountain and then over a bus. 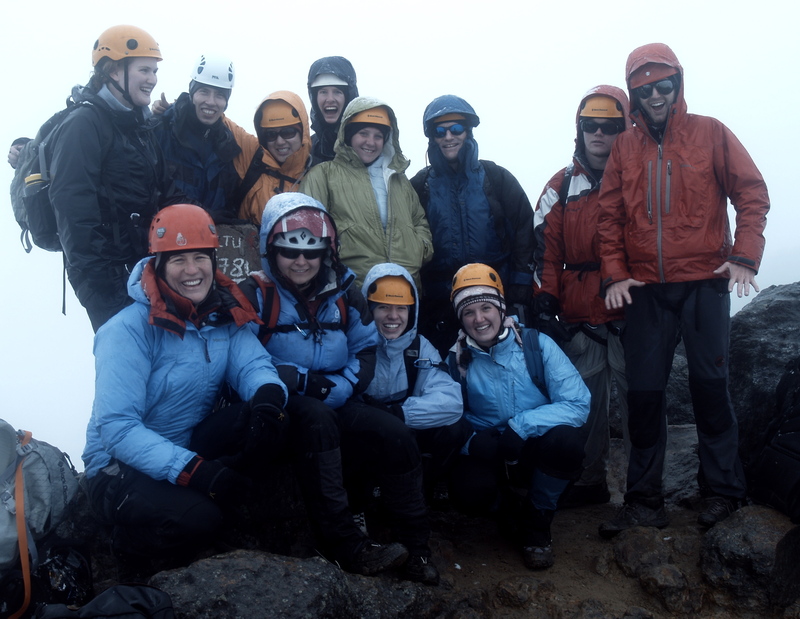 Group photo on the summit of Gua-Gua. I’m in the middle in green. Sarah’s on the far left. Friends made in these kind of circumstances are friends for life. 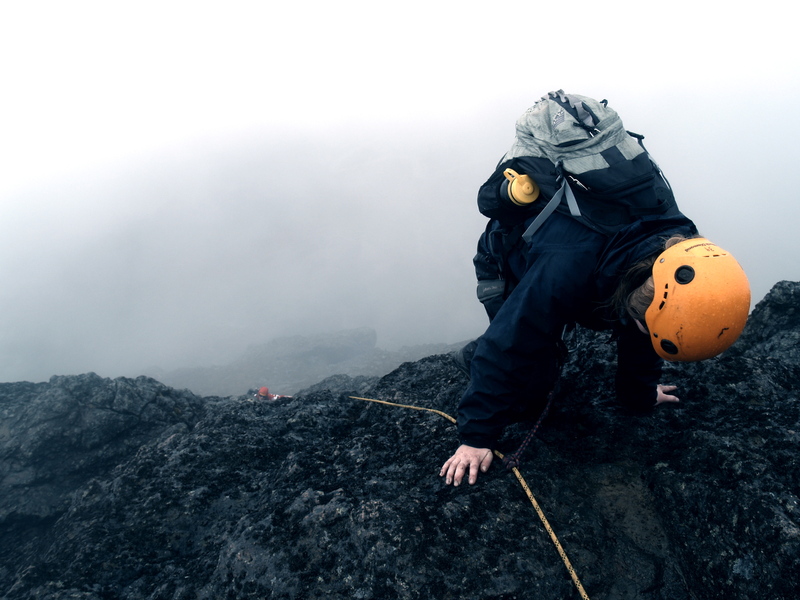 Since Ecuador, Sarah and I have met up in many places and climbed many mountains. Last fall, Sarah and I met up for a four-day backpacking epic in Colorado’s Collegiate Peaks Wilderness and in the spring, we survived two near misses with an angry moose and a life-illuminating lightning storm in two days. 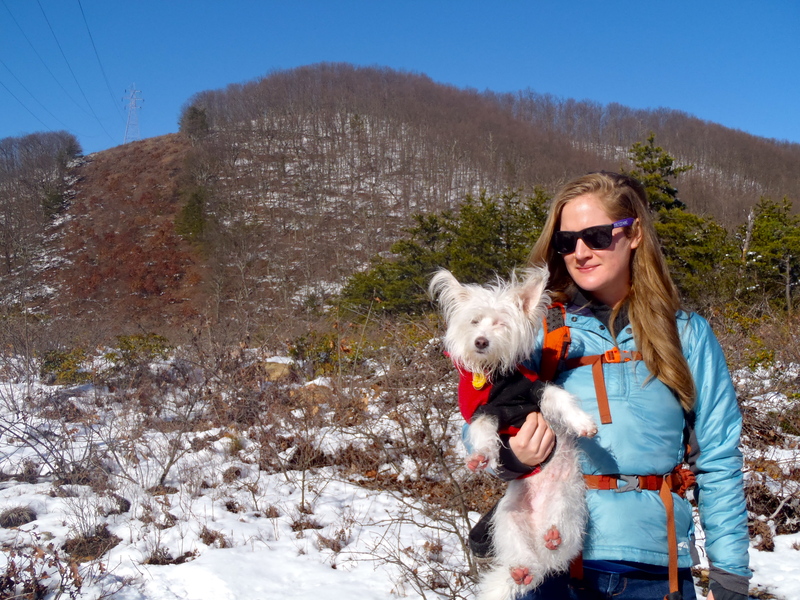 Last weekend we met up for a hike at Harpers Ferry National Historical Park and this past weekend, we trekked a few snowy miles on the Appalachian Trail in southern, Virginia. Here’s to friends made in high places! This isn’t the only time I’ve been trapped on a mountain by a bus. Revisit my Canadian post: The Iceline Trail and an Unexpected Obstacle. This entry was posted in Beyond the USA, Bowie & D.O.G., Hiking!, Photography, Road tripping!, Uncategorized, Vagabonding 101 and tagged collegiate peaks wilderness, Colorado, Ecuador, gua-gua pinchincha, mount yale. Bookmark the permalink. Up and over a bus–hilarious. The last time I tried to meet friends in high places they didn’t turn up. My wife and I sat at a summit in the snow and high wind, eventually giving up after an hour of waiting. We went back down and found our two single male friends in a pub, drunk, chatting up two local girls. I think I’d have preferred the bus! I’m just amazed how challenging and life threatening this trek was for you. Indeed the angels were looking over you on this trip as so many things could have gone wrong. I bow my hat to you as the most extreme adventurer traveler that I know. Oh my god your trip sounds amazing ! 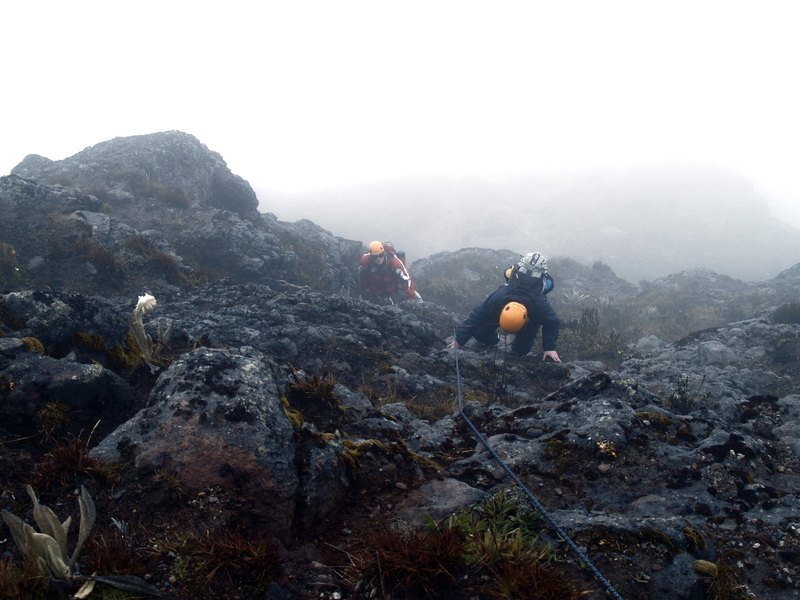 I was on the Rucu Pichincha (next to Gua Gua Pichincha) in Ecuador with Gulliver Expeditions from Quito. That was also an amazing experience.